From 1907 through 1910, Harry "handcuff" Houdini was the highest paid vaudeville performer in the United States. variety of other apparatuses. His magic acts still thrill modern audiences. He performed both on-stage and in public venues. cold waters of the Charles River on April 30, 1908. 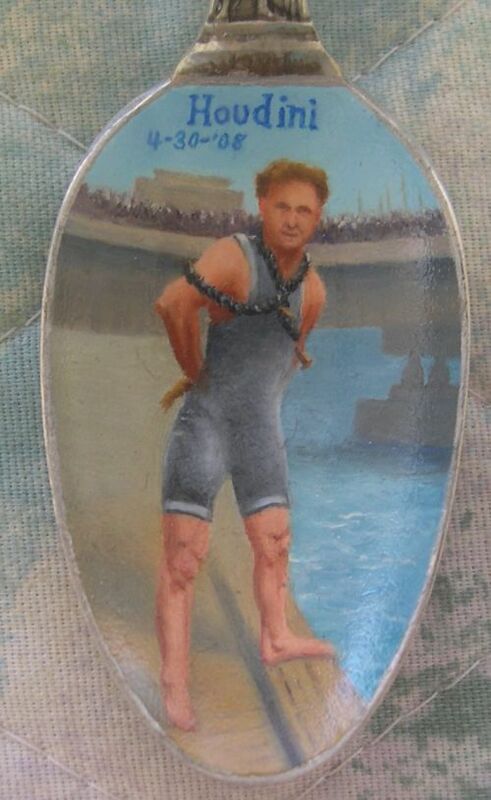 Beautifully hand painted portrait of Houdini with observers on the bridge behind him.